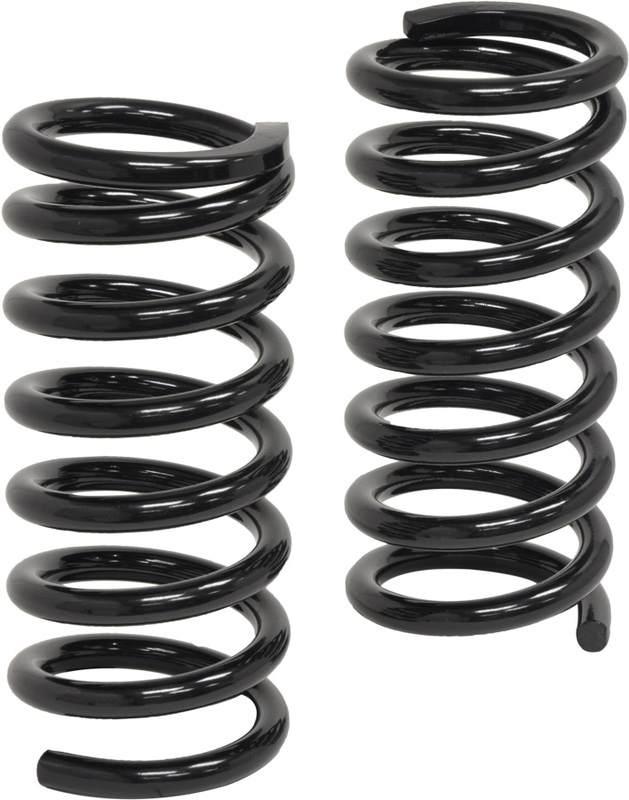 Performance-Series springs offer increased performance with linear spring rate and predictable handling characteristics. 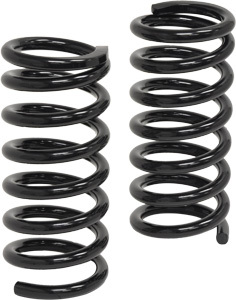 A linear spring rate is preferred for high performance driving applications, but will have a stiffer, performance feel compared to OEM springs. Ride height is approximately 1" below stock height. Springs are made from high-strength alloy steel and wound on a specialized CNC spring coiler, then powder coated for a lasting, quality appearance. Available for 1964 to 1973 Mustangs; additional Ford/Mercury vehicles listed in applications chart. Sold in pairs. Our coil-spring isolators are recommended for all OEM-style coil springs. The coil-spring wire is a different size than stock so the original isolator will not fit correctly. Made from high strength black polyurethane for long life. Sold in pairs. 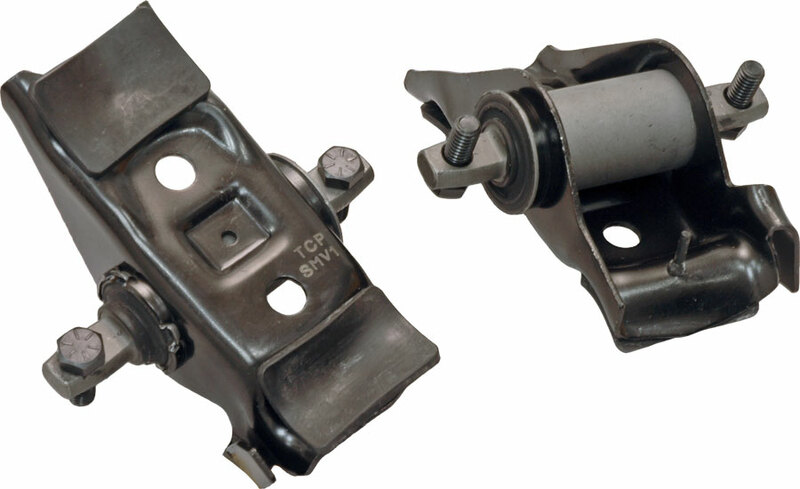 Replacement lower spring-seat rockers for the upper control arms are available. Made from all new materials they feature rubber pivot bushings and lower spring isolators. Sold in pairs.